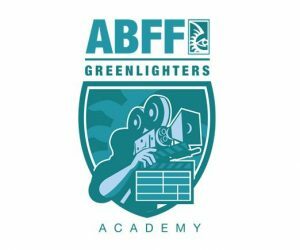 The ABFF Greenlighters Academy is an educational incubator program for college students with an interest in pursuing corporate careers in film, television and new media. Primarily targeted to students of color from the nation’s Historically Black Colleges and Universities, the Academy serves as a pipeline to internships at major studios and networks, giving the students an opportunity to work towards executive positions in Hollywood. The Academy’s mission is to provide deserving students of color with the information and industry access to steer their career path toward positions that can “green light” projects, creating more executives in positions to advocate for diversity in the business. Each year, ten students are selected to participate as fellows of the Academy. The program begins with a two-day intensive boot camp held in Hollywood, Calif. Actor and TV host, Terrence J served as the Ambassador of the inaugural program held in April 2017. During the boot camp fellows attend lectures and participate in roundtables with top entertainment executives, talent managers, agents and production company owners. The speakers will describe their career trajectory, conduct “Day in the Life” seminars, and engage the students in “Ask Me Anything” roundtable discussions. In addition, the fellows will have the opportunity to visit various Hollywood offices, studio lots and/or set locations that will give them a deeper sense of what it is like to work in the business. ABFF will give each fellow passes to attend the 2017 American Black Film Festival in Miami in June. During the festival, they will be able to have a full festival experience inclusive of screenings, ABFF Talk sessions, our Careers in Entertainment Center and other activities, which will allow them to network with industry professionals. In the final stage of the Academy, the participating fellows will be given internships at a major studio, network or production company. This will provide the on-site work experience that will inspire them to continue working towards their corporate entertainment career.